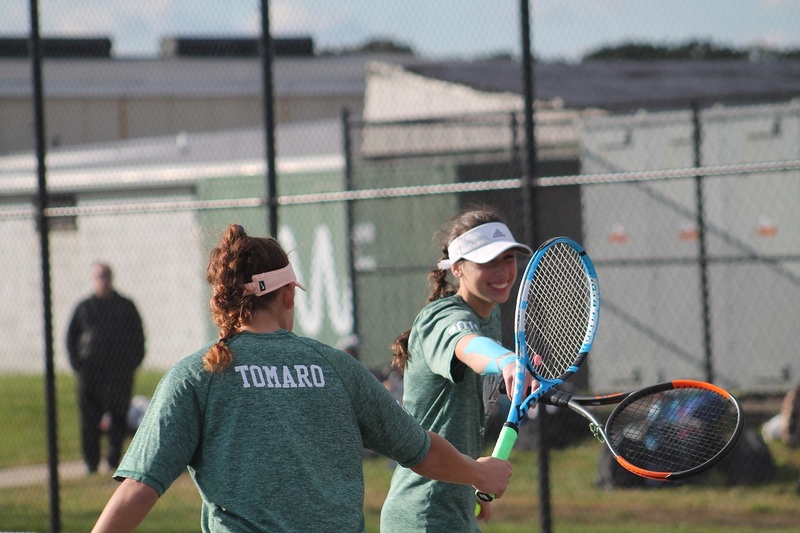 Having to play the full three sets in a match is nothing new for Westhampton Beach’s Rose Peruso and Juliet Tomaro. So when the second doubles pairing lost the opening set tiebreaker to Commack’s Christine Kong and Valerie Slackman in Wednesday’s Suffolk County Championship at William Floyd High School, the pair was in familiar territory. “We’re kind of used to losing the first set,” said Tomaro. “Third sets are our thing,” added Peruso. That familiarity would pay off as the duo came back to win 6-7(3), 6-2, 6-3 to seal their team’s 4-3 victory over Commack. 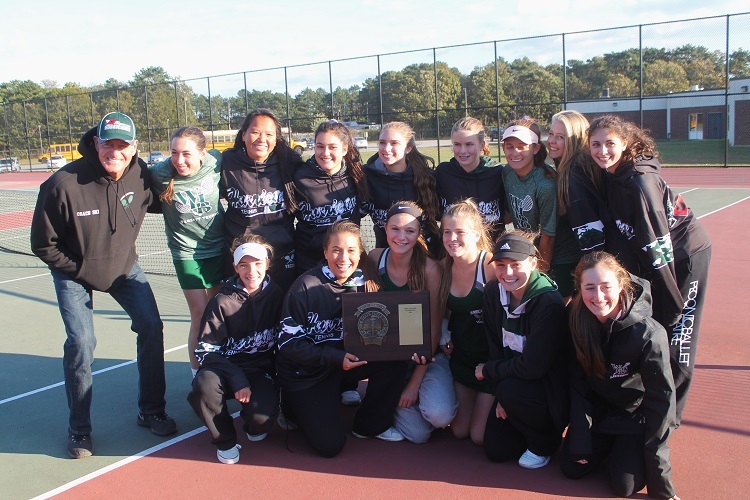 The showdown between top-seeded Commack and second-seeded Westhampton Beach, both of whom entered Wednesday undefeated, would come down to the second doubles court after the two teams traded victories through the first six flights. 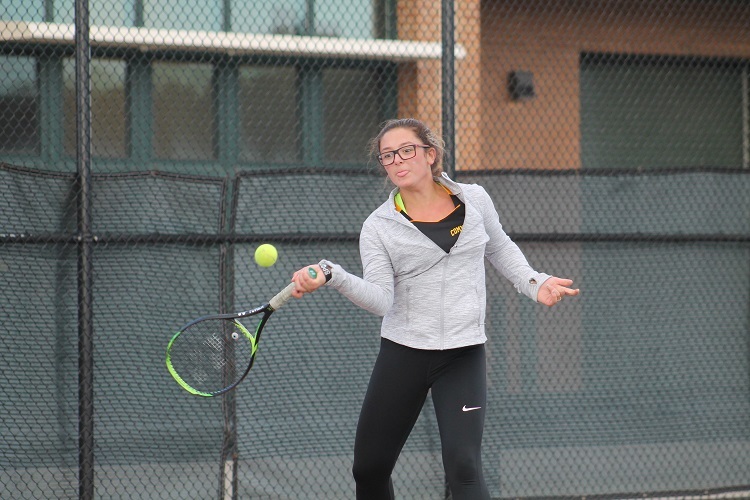 Gabriela Glickstein put Commack ahead early with a 6-0, 6-0 win over Brooke Del Prete at second singles before Emma Bender and Onalee Batcheller evened the score for the Hurricanes with a 6-0, 6-4 victory against the Cougars’ Victoria Pensiero and Kristen Chao at first doubles. 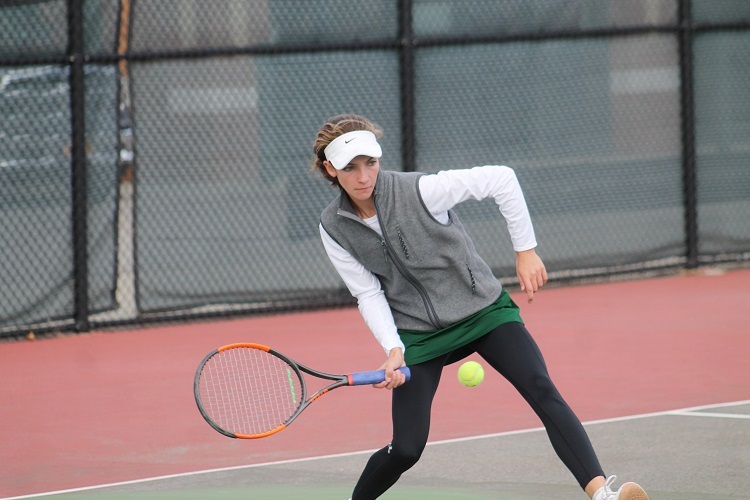 Kady Tannenbaum beat Marin VanderSchaaf 6-2, 6-1 at third singles to temporarily put Commack back in front, but Katelyn Stabile defeated Emma Matz 6-3, 6-0 at fourth singles to tie things up for Westhampton Beach soon after. The see-saw affair would continue as Rose Hayes battled past Emily Tannebaum 6-2, 6-2 at first singles in a rematch of the Suffolk Individual Championship, but the match was once again evened up as Molly Gittleman and Khaya Sokol defeated Rieve Delisle and Helena Jones 6-3, 6-3 at third doubles, setting up the exciting second doubles finish. Kong and Slackman took the early 2-1 lead in the deciding third set before Peruso and Tomaro responded by winning the next two games for 3-2. The pair would break once more for a 5-3 lead, and Peruso calmly served out the match in the following game, sealing the deal with an overhead smash on match point. It is the Hurricanes’ first Suffolk title since 2008, and was an accomplishment Czartosieski told his team was possible before the season started. The Hurricanes now advance to the Long Island Championship, and it will travel to Eisenhower Park in East Meadow on Thursday to take on the Syosset Braves, the Nassau County Champion.